The casual passer-by to this page might reasonably conclude that I have been terribly lazy throughout the month of August. It’s been a while since I’ve posted, and there are a number of reasons for this. First and foremost is the fact that my job (the one that pays the bills) is currently at full stretch with the height of the Cornish holiday season. I normally delight in telling people how easy my job is (loafing around behind the bar, making the odd sarcastic remark) but August is the month in which you could probably stretch it and say that I actually earn my money for once. Of course, the traditional tourist rush isn’t the only reason I haven’t bothered to post here. As you will probably be aware, this blog is mostly (although not entirely) about politics, and the beauty of the free availability of blogging websites is that non-entities like me have every opportunity to vent spleen in a public forum about the poor misguided fools who aspire to run our lives. The trouble is, after the General Election and the initial excitement of the first hung parliament in nearly forty years, politics has become rather dull again. The Coalition, while by its very nature containing some finely distilled elements of pure evil, is doing its best to be as insipid as possible. 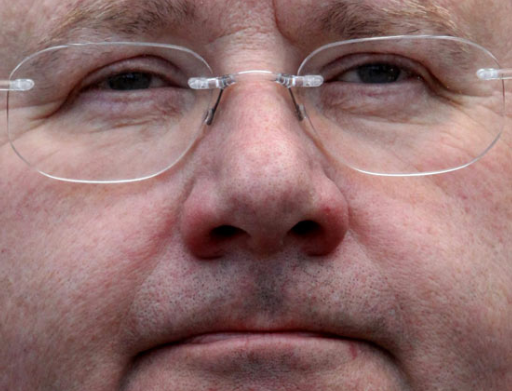 Pickles and Gideon only slither out infrequently, while even David Cameron seems to have temporarily parked the shrill, fat-faced toff act from the months leading up to the General Election. All of these things have served to keep my bile levels in a manageable state over these last few weeks. I can’t say this is a situation I entirely welcome. The Labour Party haven’t helped matters much either. Their leadership election could have been a golden opportunity for a party, freed from the shackles of a long period in office, to capture the public imagination with an eye-catching and far-reaching debate over the future of the country and the role of the left. Fat chance. It’s been a bunch of dull people talking about dull things in a dull way. They could at least have organised some sort of nasty spat between a couple of the candidates but we haven’t even been given that pleasure. Deeply disappointing. And so I find myself nearing the end of August with very little to write about. I can’t even summon any great sense of disgust about the return (tonight) of the single event that will over-shadow everything else for the next four months. 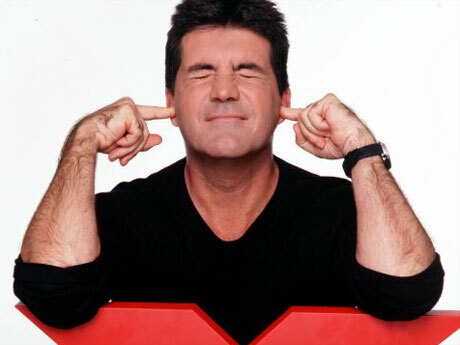 I refer, of course, to the over-produced, overblown dung-polishing extravaganza that is the X-Factor. I wish it would make me mad, but I just don’t really care, to be honest. There’ll be bad auditions, heart-breaking back stories, manufactured spats between the judges, the annual assault on the Christmas Number One and the whole thing will be reported and tweeted about endlessly and watched by millions (although I won’t be one of them). But, to be honest, it’s part of the furniture now and Cowell’s dominance of the Christmas charts (Rage Against The Machine aside) at least spares us from Sir Cliff. I’ve noticed a trend among some Liberal Democrats lately of assuming that, because the party is in coalition with the Tories, they should say nice things about the Great Blue Evil and even defend Conservative Ministers when the inevitable (and probably not unreasonable) accusations of madness and megalomania are levelled against them. Sorry to opt out of this love-in, but a Tory is a Tory is a Tory. Let’s not forget the people we’re dealing with here: George Osborne, who simply couldn’t wait to crank VAT up to 20% and start slashing public services; Michael Gove, who has wasted no time in making a complete lash up of the schools rebuilding programme; Iain Duncan Smith, who brought back not-so-fond memories of his Chingford predecessor Norman Tebbit with his reworded ‘on yer bike’ solution to unemployment; Eric Pickles, who plans to fillet local government and bring back a good dose of Christian values to public life (except the one about bare-faced grasping, of course). And then there’s Cameron himself, the craftiest and most slippery of them all, a man who – as far as I can tell – believes nothing at all and is more than willing to let the idealogues around him get on with their dirty business. The Tories, lest we forget, are only in this for one thing: looking after the small minority of the population who hold most of the wealth. Much wind has already been expelled about the cost of benefit fraud, for example, but there seems to be little interest in tackling tax evasion which is estimated to cost the Treasury fifteen times more. No, far easier to leave your party donors alone and get your mates in the right-wing press to stick the boot in to the less well-off on your behalf instead. It’s like the eighties all over again – the Tories will never change because they have no concept of what the word means. Yes, I know there’s a coalition here and that compromise is part and parcel of the deal and yes, I know some people from my party signed up to it. I also accept that the party leadership didn’t have too many options considering the parliamentary arithmetic and the need to prove that a hung parliament needn’t be a recipe for instability. But I curse, pretty much on a daily basis, that the Tories were the only show in town. And whatever the arrangements, however much the coalition is supposedly a vehicle for worthy Lib Dem policies, I’m never going to be able to muster any love for the Tories. Oh David Cameron. Where do I start with you? How do I give you (and the repulsive, narrow-minded, self-interested guff cloud of a party you lead) the kicking you fully deserve without resorting to the usual clichés about silver spoons, policy vacuums and the Bullingdon Club? Maybe I should critique the few policies you and Gideon have allowed to seep out, or maybe I should have a pop at the slippery-looking bunch of chancers, tobacco-peddlers and after-dinner speakers who make up your Shadow (or should that be Shallow) Cabinet; a government-in-waiting staffed by the likes of George Osborne, Ken Clarke, William Hague and Eric Pickles. Perhaps I should point out that your MPs had by far the most egregious record on expenses of any party and that, despite your flowery rhetoric, you’ve offered no concrete proposal which will deal with this issue in any way, shape or form. I suppose I could concentrate on the Ashcroft millions which are being poured into marginal constituencies in a naked attempt to distort the electoral process. I could make reference to your repeated claim to be ‘the Party of the NHS’ (how you and your hired bully, Andy Coulson, must have laughed when you cooked that line up). Somewhere in this piece I could probably find room to point out that every call you and Gideon have made on the economy over the last couple of years has been completely, disastrously wrong. I could even allude to the natural Tory ‘default mode’ of mercilessly shafting public services and the poor in order to give your wealthy backers the tax cuts they plainly don’t deserve. But I won’t do any of those things. No, I’m going to be a lot less rational than that. I just can’t bear you, Dave. I can’t stand your face, I can’t stand your voice and I especially can’t stand the way you continue to lead in the opinion polls in spite of all the evidence which points to a Tory government being a complete disaster. I despise the arrogant, born-to-rule air that wafts from your party at the moment. I loathe the easy ride the media give you, from the crap-by-the-bucket-load spewing forth from the newly-sycophantic Murdoch press, via the shrill family values nonsense belched out by the Daily Mail, to the total lack of adequate policy scrutiny from an organisation like the BBC, of which we are entitled to expect more. 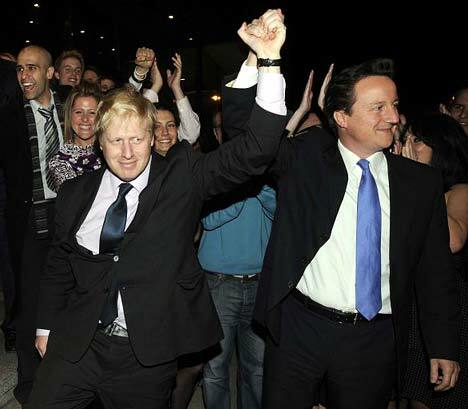 But, if I’m being completely honest, my greatest fear is watching Tories celebrate an election victory next year. It’s been seventeen years since I’ve had to suffer that, and John Major was nowhere near as irritating as you are, Dave. It is my desperate, yet fading, hope that the electorate (at least the ones you are targetting in the marginal constituencies) will wake up to the insipid Blair Mark II project you are trying to pull off. 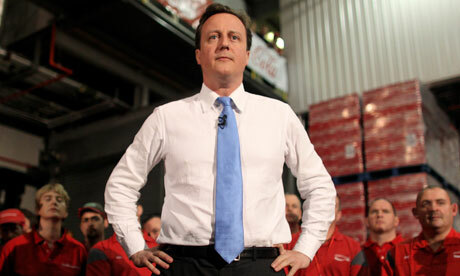 I’d love the voters to prove to you and Gideon that government is not your birthright. Sadly, life’s not fair like that, is it Dave? 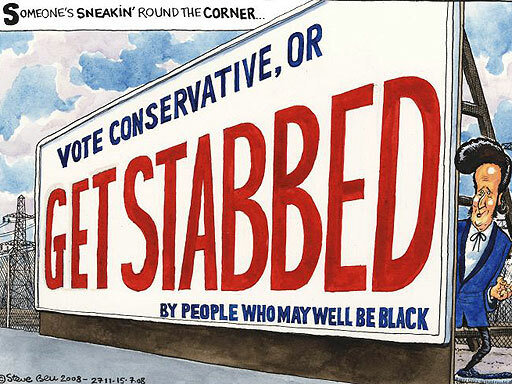 Tories: What’s Not To Like? Suave yet not even slightly smug.